If you can imagine that there is a food that tastes like Heaven, this is it. It even looks like Heaven. My Mom made lots of candy at Christmas, peanut butter cups, peanut patties, coconut truffles, but this was all I cared about. Her divinity just melted in my mouth like cotton candy. 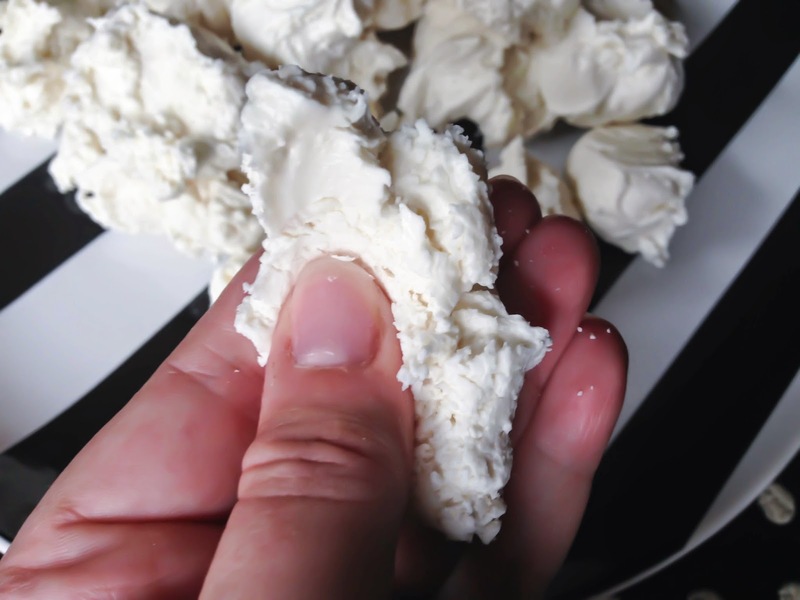 I love the way it looks, the soft chewy, chalky texture, and the clean, simple, sweet flavor that dissolves when you chew it. 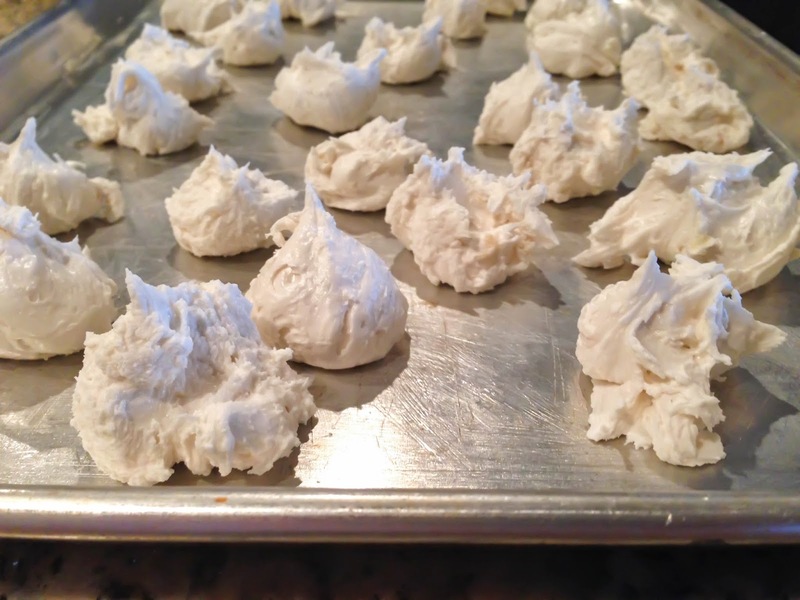 If you are a fan of pecans, add them in, the nutty flavor is a nice contrast to the sweet. So many of my favorite memories of my Mom are centered around food and restaurants. Up until the last year, the girls thought my Mom lived at Buffalo Wild Wings, every time we would drive by they would say "Granny Crecia lives there! ", it was cute. 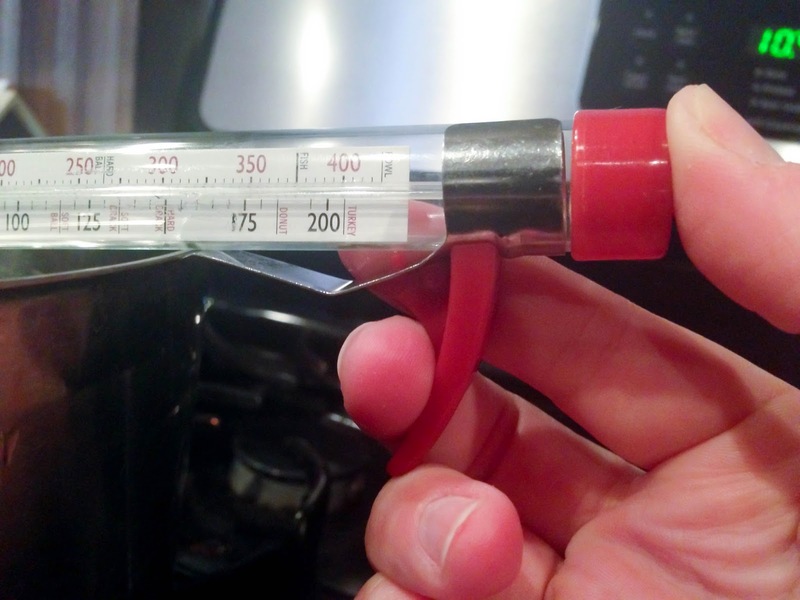 I want to give you a quick lesson in how to attach a candy thermometer to your pan, in case you've never done it before. I am trying to spare you the cooking disaster I had when I first used one (I am still not over the loss of the entire pan of toffee). 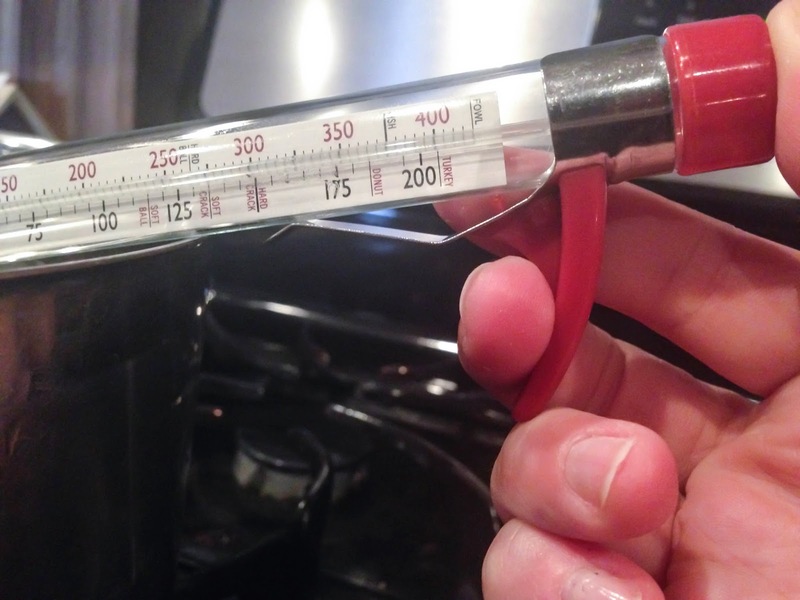 There is a metal clip attached to the top of the thermometer, do NOT push the clip over your pan like you would a pen going into a pocket, do not pull it straight out either. The pressure may break the glass. You shouldn't have to apply any pressure, tilt the thermometer horizontally and slide it over the lip of the pan. 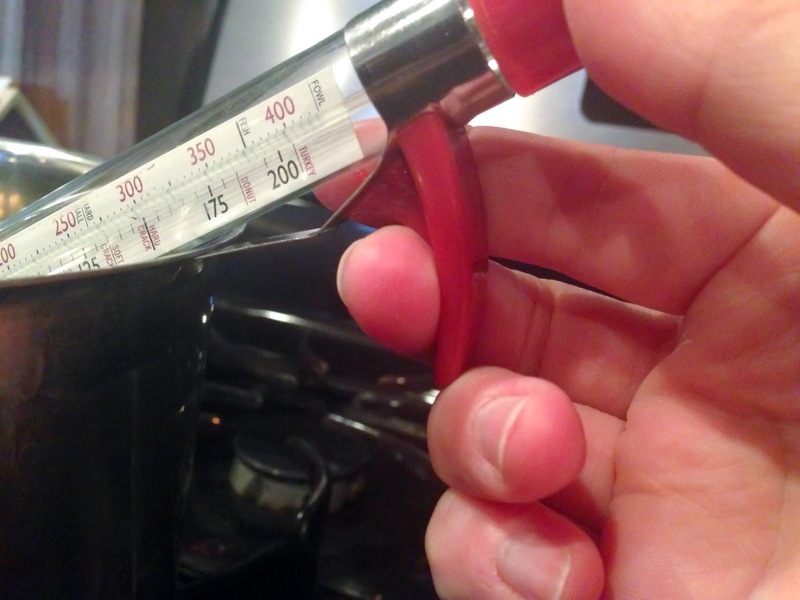 Once the end of the clip is touching the outside of your pan, simply tilt the thermometer tip towards the inside of the pan till it's at approximately 45 degrees (see image below). The thermometer should slide right into place, you should not have to push it. 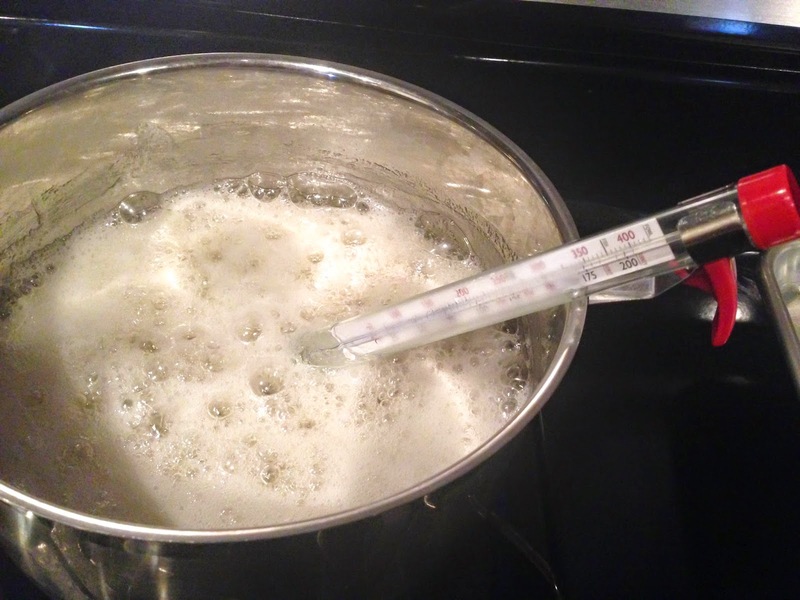 You should attach your thermometer to your pan once all your ingredients have already been placed in the pan. 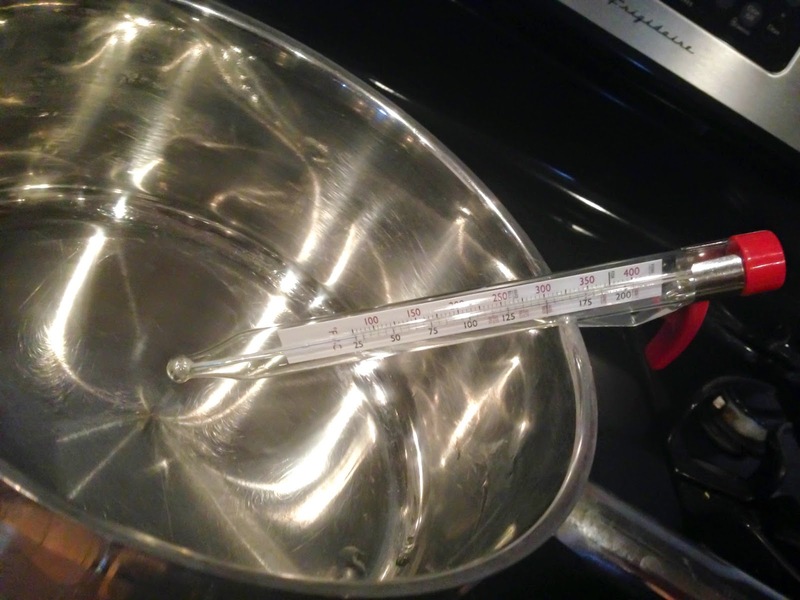 The tip of the thermometer should be nestled in the middle of your ingredients, but NOT touching the bottom of the pan. The ingredients and tools (medium sauté pan not pictured). Butter a sheet pan and set it aside. 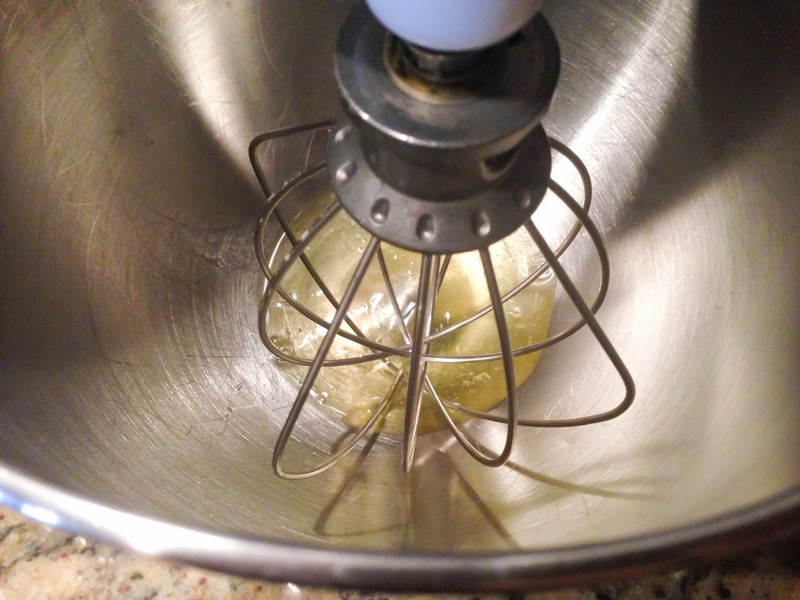 Combine sugar, corn syrup, and water in a medium saucepan. Cook on medium, stirring frequently until the sugar has dissolved. 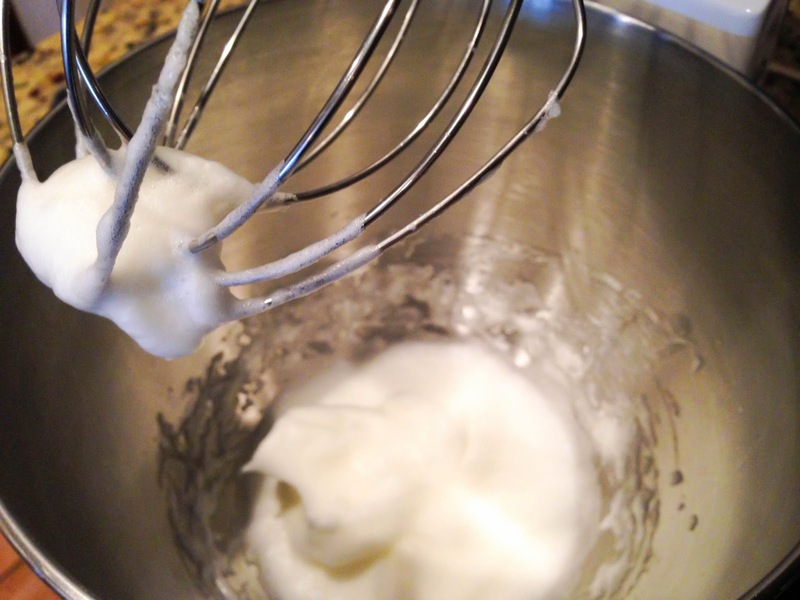 Beat egg whites until they are stiff, they should stand straight up when you take the beaters out. 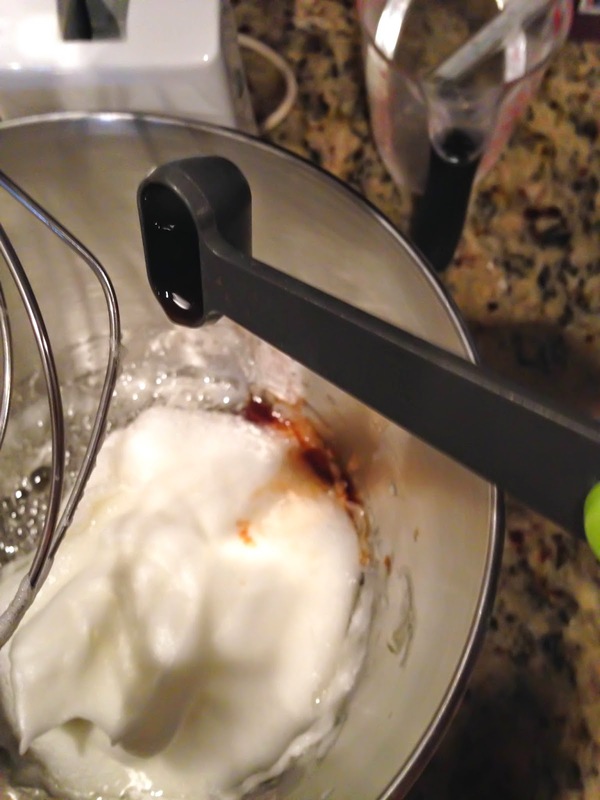 Once your sugar has dissolved, attach the candy thermometer to the pan. Simmer the syrup until it reaches 260 degrees. 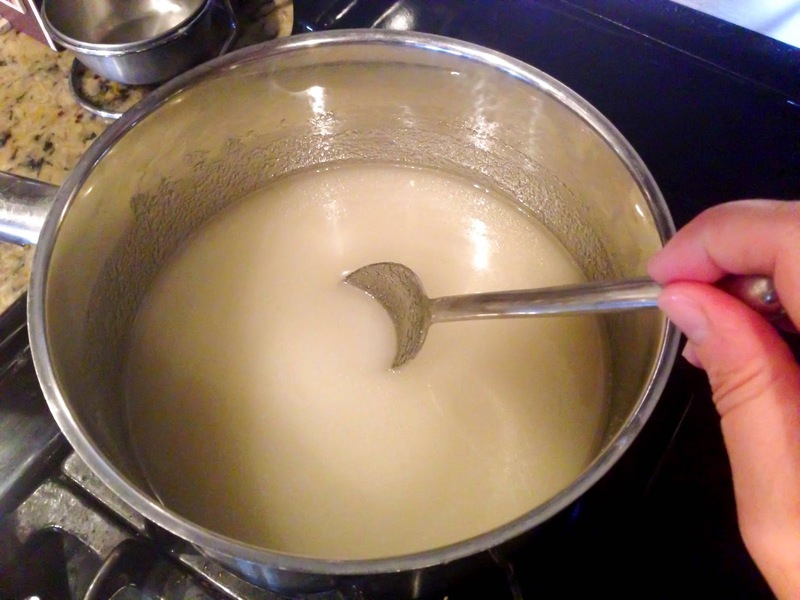 Initially the bubbles will look foamy but will turn into a clear simmer (see below). 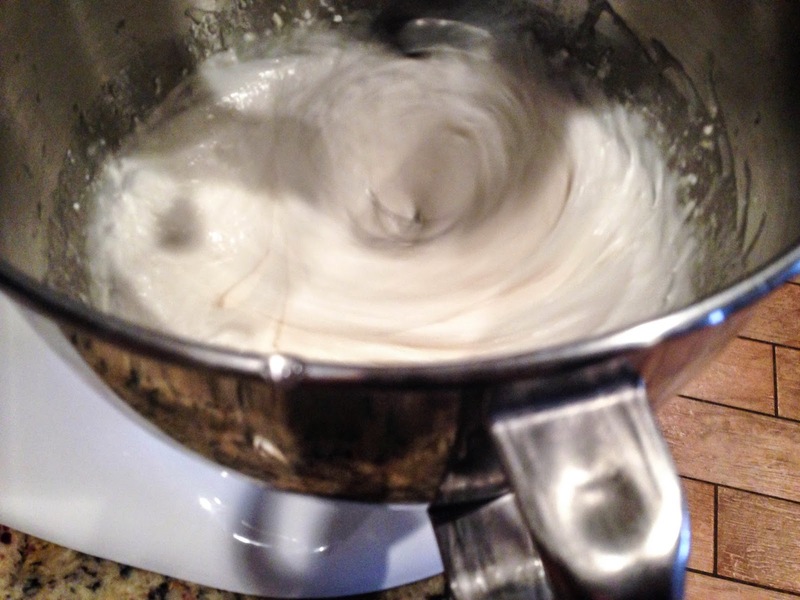 Add the vanilla to the egg whites, then slowly add the boiling syrup to the egg whites. 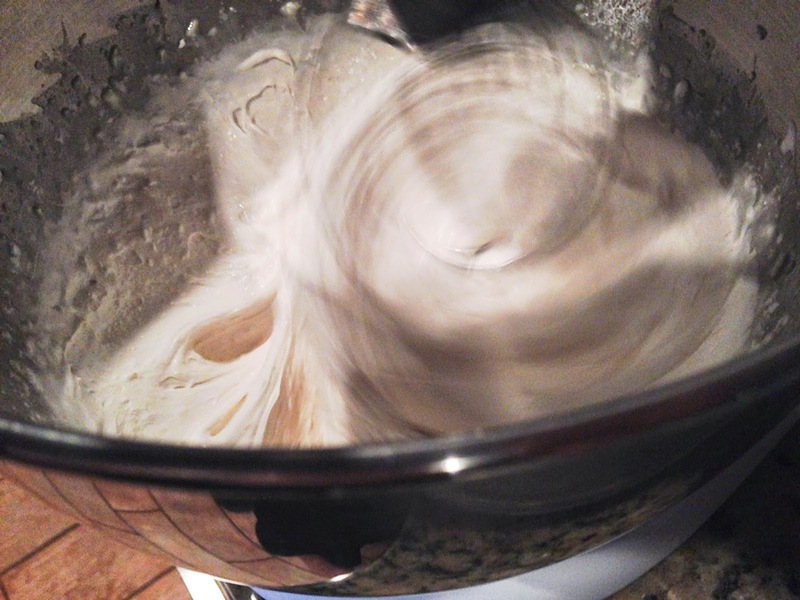 Beat on a medium/high speed until the mixture becomes firm enough to hold shape. 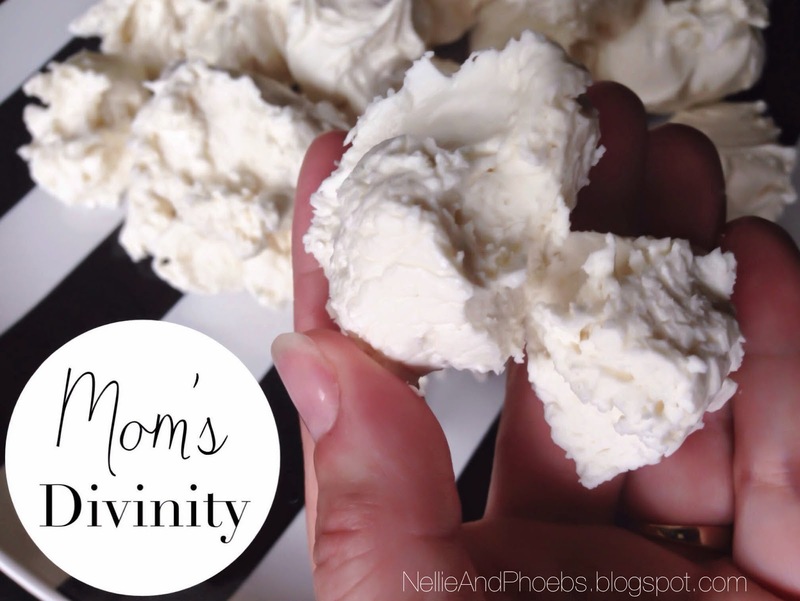 This will take longer than your think, but don't over beat it or the texture of your candy won't be smooth. Start checking it when you see it pulling away from the sides. (See the three progression pictures above.) I over-beat mine a smidgen and the texture was not as smooth as I would have liked. QUICKLY drop spoonfuls onto the prepared sheet pan. The candy starts to dry really fast, as soon as it's ready, get it on your pan as fast as you can. A better idea of what the texture is like, once it dries. They melt in your mouth! 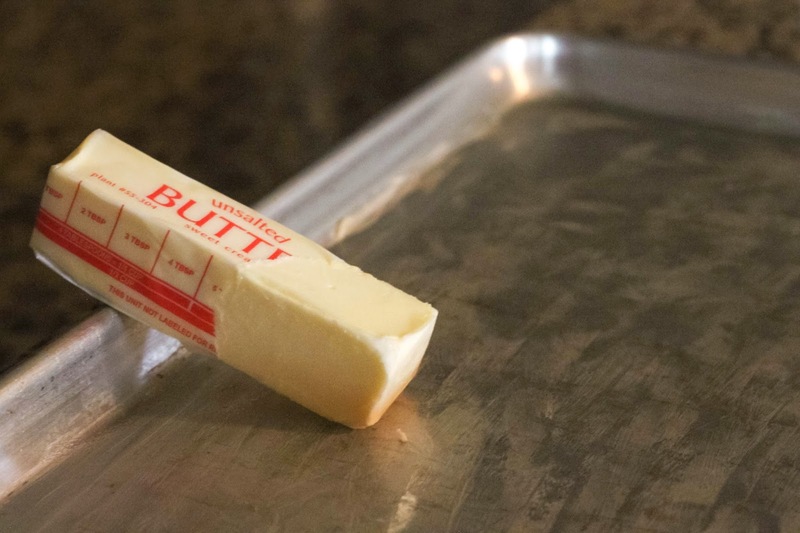 Grease a sheet pan with butter and set it aside. Combine sugar, corn syrup and water in a medium sauce pan. Cook over medium heat, stirring until sugar dissolves. 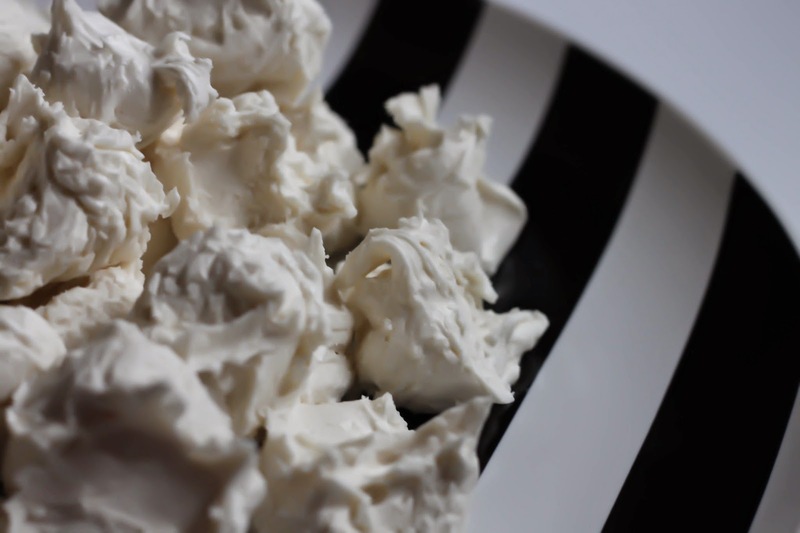 In a medium mixing bowl, beat egg whites until stiff. 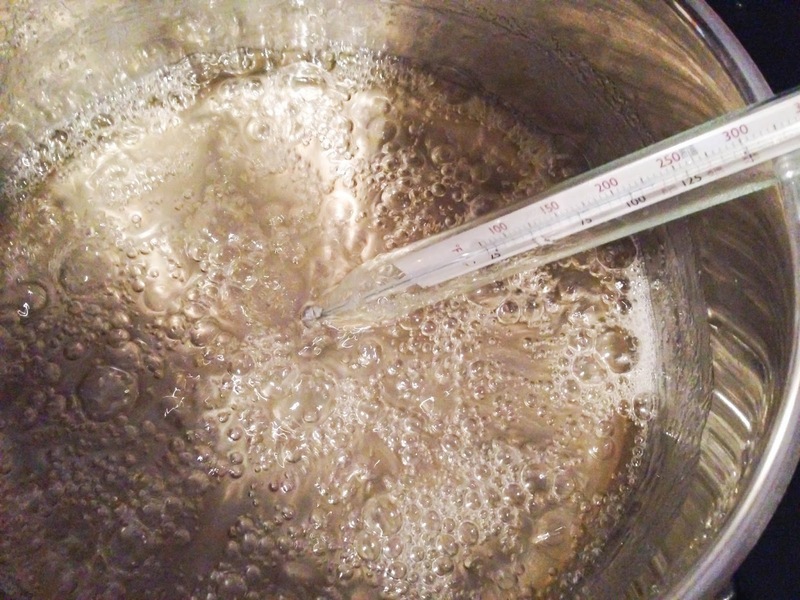 Continue cooking syrup until it reaches 260 degrees Fahrenheit. 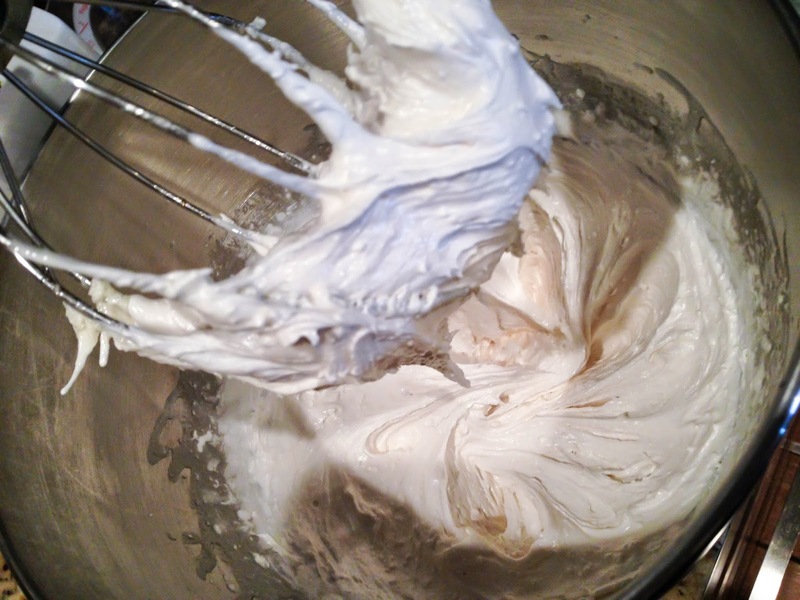 Gradually pour syrup mixture into egg whites. Add vanilla. Beat till the candy holds shape (this takes a while). 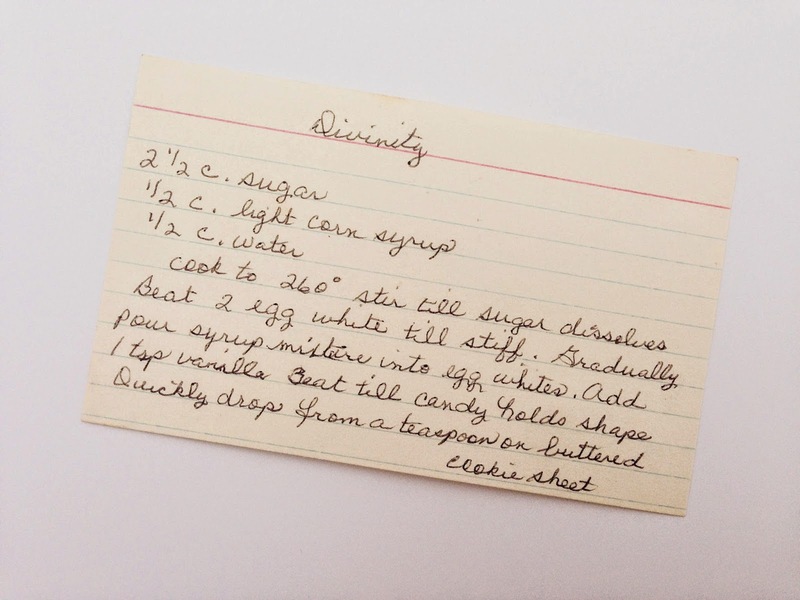 Quickly drop from a teaspoon onto a prepared sheet pan. 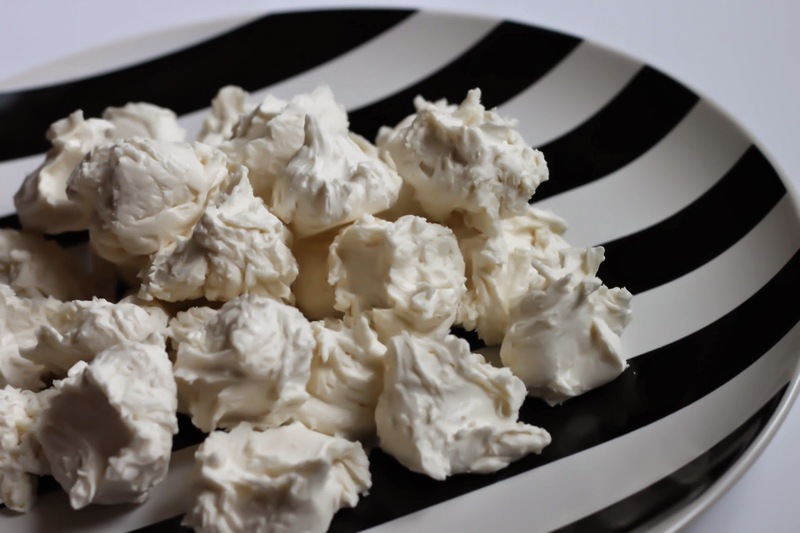 Let it harden for 30 minutes, then store in an airtight container. 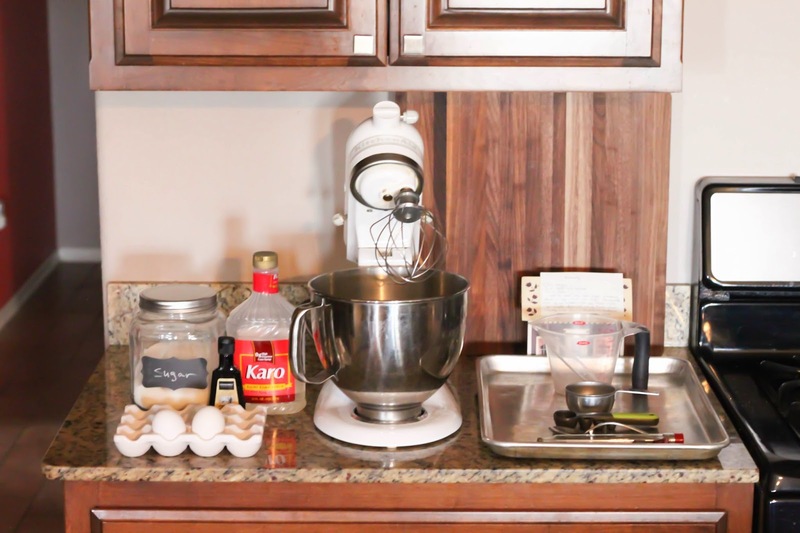 *Note: I used Karo brand corn syrup and it has natural vanilla flavoring in it, and I used the full amount of vanilla that the recipe calls for, and it was a little vanilla-y. Select a non-vanilla flavored corn syrup or decrease your vanilla add in. In Memory of my beautiful Mother.